Originally a car ferry she emerged after a major refit in 1989 as the luxury cruise ship, MV Hebridean Princess. 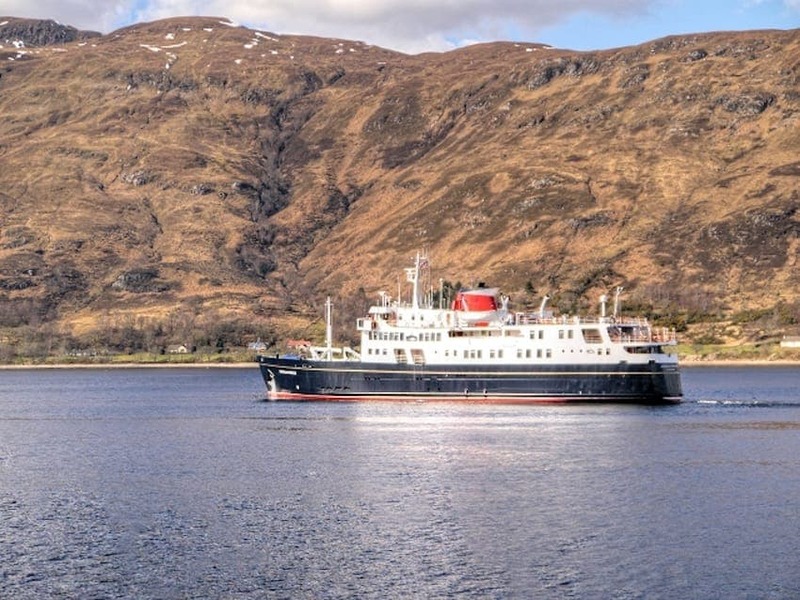 She provides luxury cruises around the Western Isles of Scotland, Ireland, the Orkney and Shetland Islands, the Norwegian Fjords and the Isles of Scilly. The construction of additional cabins increased the crew-to-guest ratio to a crew of 37 serving just 49 passengers. In 2006 and 2010 HM Queen Elizabeth II chartered Hebridean Princess for family holidays around the Scottish Islands.